Everybody has probably seen or heard a variation of this: “labels are for soup cans, not people”. This has always bothered me, but I did not know why, until I read a post that explained what I have been trying to say for a long time. I think I can now write how I feel about that. First, when I say labels, I am not including descriptors used in a derogatory way. Using words to offend should not be part of acceptable language. Using words that are part of someone’s identity in an attempt to diminish people’s value is ableist and disrespectful. I am also not dictating how individuals should use labels, or not use them. This post is to show my position and explain why I embrace labels some people seem to avoid. I use the words disabled and Autistic when referring to myself, and to my community in general, because those words describe a very visible and strong part of my identity. More important, those words are the two labels that make me feel the proudest of my accomplishments. Not because I believe I am “overcoming” adversities, but because I am truly proud of my activism, my “label lover” friends and of how my brain sees things. These are some of the labels that may follow my name. I don’t have a problem with labels, I have a lot of fun using some of them, they make me feel good and proud, even the ones some people might be inclined to think I should reject. The last two, I refuse to accept. They are based on false assumptions and used to hurt, or used by people who are too lazy to see the things I am good at. They are also things used to grade people, as if some people are more worthy than others. These things require more engagement and time, while the things I cannot do are very visible. This is why I don’t reject disabled and Autistic as labels. They are also part of my identity. I don’t think it is shameful, inherently bad or sad to be disabled and Autistic, or even “epileptic”, although I wish I did not have seizures. Those words/labels tell a little about myself, and who I am. Who I am is a result of my experiences as a disabled, autistic, epileptic woman, who is considered by many to be a badass, awesome and amazing activist, with poor coordination, a little spastic and usually very nice. See how many labels I used above? I don’t think any of them diminish me, make me unworthy or devalue my life. It is true that society treats us, disabled, epileptic, autistic, uncoordinated, spastic, as if we do not belong. But I am an activist, and I will not let the neuromajority dictate how I should feel about the words I use to identify myself. I don’t see why I should accept the saying “labels are for soup cans”. We label ourselves all the time and we accept other’s labeling of us quite often. The problem is only when the words used are associated with “broken”, “unworthy”, “damaged”, “lesser”. As I don’t see disability as a bad thing, I am proud to label myself disabled. So, if you don’t want to use labels for yourself, this is your choice. But I ask: Would you also ask not to be labeled if someone referred to you as “genius”, or “very smart”? I suspect you would not mind. Those words/labels are not offensive. They tell a little bit of my story. This post does that for me. 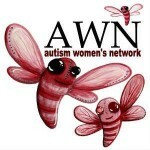 Why should someone calling me an autistic woman define me as a whole person more than calling me a brown-haired woman? It isn’t assumed that brown hair is the only quality that describes me. Brown isn’t even the only quality that describes my hair. And I think the same argument can be made for person-first language. I don’t see how changing the order of the words alters the significance of the label. Would I feel better if someone called me the girl who is stupid rather than the stupid girl? No, it doesn’t take away the sting of that demeaning label for me. And I’d actually prefer to be called that genius girl over that girl who is a genius. It’s not as clunky, which makes it sound a lot cooler. I tried to explain to him that a nerd is just a person who is passionate (only I tried to use words he is more familiar with) about something. I told him I’m proud to be a nerd. I’m hoping I’ll be able to help him generalize our conversations about the label ‘nerd’ to future conversations about the label ‘autism’ that he and I share.